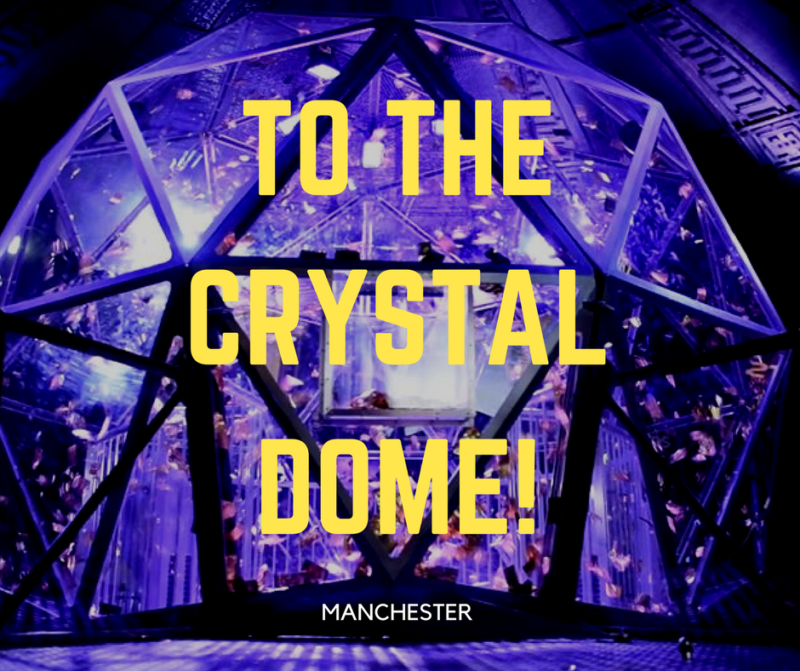 If those words fill you with extreme excitement, you MUST book to visit the Crystal Maze Manchester experience. My sister and I, like many others grew up watching the TV series back in the 90’s. Richard O’Brien hosted a game show with a difference, where teams fought to beat the clock and complete challenges to collect crystals. Each crystal buying you time in the iconic crystal dome where you and your team mates will scramble to collect tickets, which will then translate into prize money. OK, so at the Manchester experience, you won’t win any money. But you WILL have the time of your life!! The preview nights have been ongoing for the last two weeks and I decided to secure a team to test it out as pre-birthday celebration last Friday. The Manchester experience is at the old Granada Studios and I was expecting it to be good, but not this good. 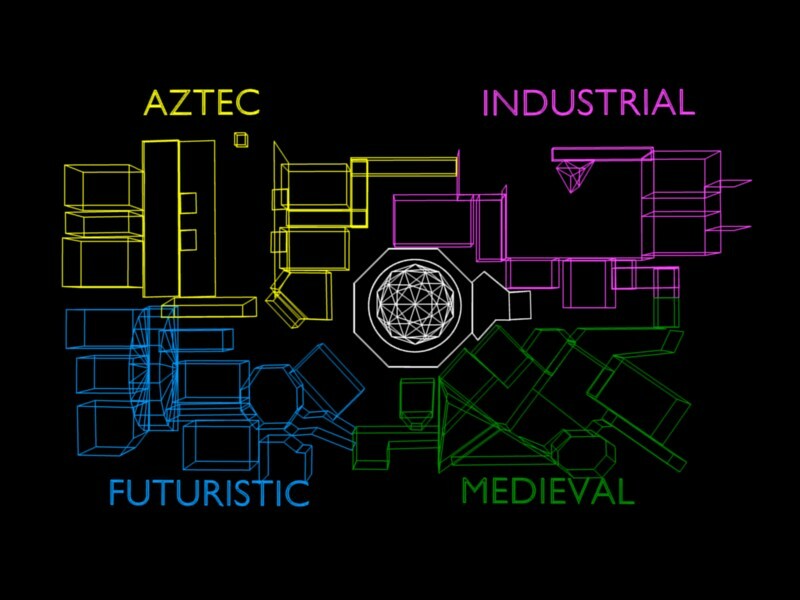 Exactly like the TV series there are four zones: Medieval, Futuristic, Aztec and Industrial and these guys have really gone to town to try and re-create the magic of each section. There are tunnels, narrow corridors, overhead walkways, bridges and sand! The Aztec zone really did have sand!! 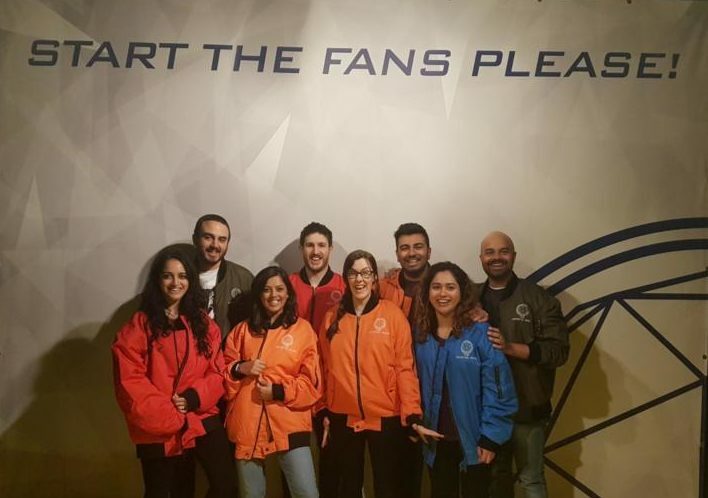 Before you go in, you have the opportunity to wear one of the fetching Crystal Maze jackets and take a group picture. Which we did. However, you don’t get to wear these stylish suits as you do the games, they are purely for picture purposes. Don’t be sad though – you will most definitely be grateful they didn’t let you wear it once you get in as you will get very warm as you dash around. After all the paperwork and safety briefings, the first task is the most important – choosing team and sub team captains. Sub team captain very important, just in case the team captain gets locked in. Of course, as the pre-birthday girl and organiser, I forced myself into the team captain role and appointed my partner in crime G as the sub. A short welcome video from the legendary Richard and then boom! Out pops our very own Maze Master – Edward-something-something-something-the seventh. He was eccentric, dressed in tweed, very tall and skinny, carried a briefcase… oh and most importantly, he was BRILLIANT. The Maze Master job was one that was quite sought after, the Crystal Maze opened the applications out to actors and actresses as it is very much a dramatic role rather than simply having a host walk you through. After a quick getting to know each other session, it was time to get cracking. 60 minutes on the clock and we were off. The games! Oh gosh, they were completely on point. I was so pleased. Just like the original once again, you can choose between physical, mental, skill or mystery. The Maze Master offers the options in that particular zone and as the captain I got to choose who played WHICH game. I’m not going to ruin the surprise for you by describing them all, but think maths puzzles, laser beams, pulley ropes, puzzles… and they’re all SOOO GOOD!!! Once the chosen team mate is in the room facing their task, the rest of us could watch through windows… you know what I’m going to say next, it was just like the TV show! I could give you plenty of tips at this point – such as, don’t all shout at once, read the instructions clearly out loud, move on if you don’t understand something… but the beauty of the game is once you’re there and the door has closed, even when you’re watching someone else do the task, you’ll completely forget everything you’ve read or heard as adrenaline kicks in and you move into competitive mode. Now, I said I’d come back to Edward-something x 3-the seventh. I kid you not, this guy was incredibly talented. Throughout our whole experience, he stayed in character, he worked off our enthusiasm and played a truly exceptional host. He was comedy GOLD. Our very own compere to take us through and he literally had us in stitches the whole time – G and I took the brunt of his jokes (we did ask for it though 😉 ). If I could do this whole thing again. I would. All day every day until we’d tried every single challenge. And I’d want Edward to go through the pain of leading us all through it too. But book it NOW – because those slots are filling up fast. If you don’t have a team of 8, you will be placed with other people, I’d say that’s a neat way to make new friends. Have you tried the Crystal Maze? Were you a big fan of the TV show? Next Post Life. It’s hard work.